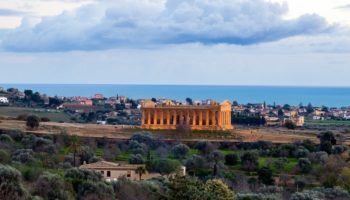 The island of Sicily is famous the world over for its amazing food, stunning countryside, unique culture, and rich history. It’s the largest island in the Mediterranean sea and boasts one of Europe’s tallest volcanoes – Mount Etna – in its eastern half. 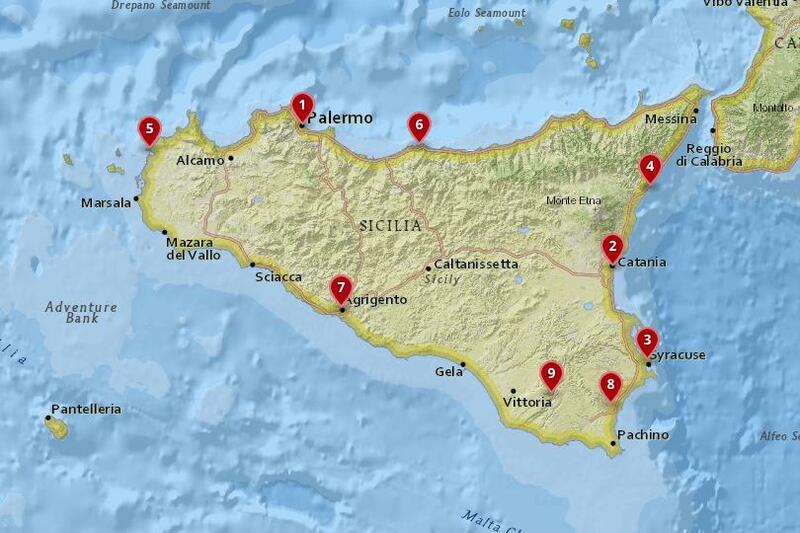 Sicily, as we know it today, is the product of a long and checkered history. It was an ancient Greek colony, part of the Phoenician, Roman and then Byzantine empire, became a Moorish emirate, was conquered by the Normans, and then passed through the hands of many European powers. 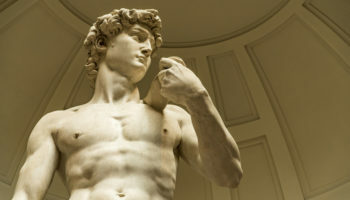 These various cultures have exerted significant influences on the Italian island, all evident today in the unique culture of Sicily, including its language and arts – ancient historical sites abound. This culminates in arguably the island’s most famous archaeological region – Valley of the Temples – where the ruins of seven magnificent Greek temples continue to amaze visitors. The towns and cities are picturesque affairs. They’re nestled in mountains or set along the island’s jagged, rocky coastline. 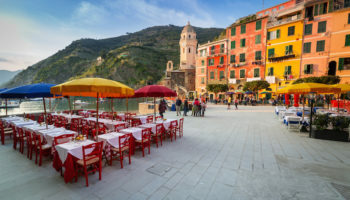 Hiking, snorkeling, or simply eating your way through the incredible amount of quality food on offer in this unique Italian region is the order for any trip to its shores. Whether you’re into history and culture, you’re a total foodie, or you simply want to relax, there’s a place in Sicily for you. 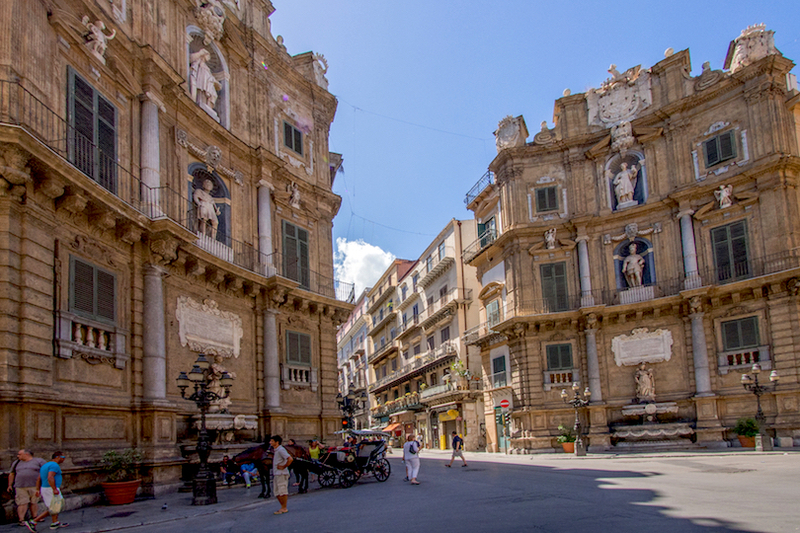 Set on Sicily’s northwest coast, Palermo is the island’s capital and is a grand showcase of the region’s history. It’s nestled between the folds of a mountainside landscape and boasts the big, crescent-shaped Mondello Beach, where the town meets the sea. Full of history, it’s the perfect place to begin any journey to this beautiful island – especially to witness Sicilian architecture. A good example can be found at the 16th Century Church of Casa Professa, whose Baroque interior is like a lesson in stunning opulence. 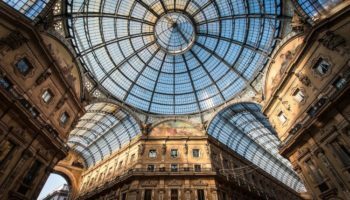 Palermo also boasts the Lyric Opera – Italy’s largest theater and, in fact, the third largest in Europe (after the famous Paris Opera and Vienna State Opera). Street food and ancient markets abound in town and it’s easy to spot a bit of local culture by just wandering around these lively areas. Stay in a ritzy hotel in the older neighborhood or something more affordable near the beach. Grand Hotel Wagner – When it comes to supremely grand opulence, Grand Hotel Wagner would be a perfect choice. Boasting well-appointed rooms sumptuously decorated with classic furniture and luxury fabrics and materials, you know it’s going to be a lavish experience right from the marble steps that lead into this hotel. Dating back to the late 19th century, this utterly refined hotel, with its dining room, spa, and beautiful lounge bar, is just a seven-minute walk away from the Teatro Massimo, amongst other sights. Hotel Garibaldi – Set in a historical Liberty-style building, Hotel Garibaldi is right across the street from its famous namesake – the Politeama Theatre. And what’s more, the Piazza Ruggero Settimo and Giardino Inglese are within easy walking distance. Palermo Cathedral is also a 20-minute stroll away. The hotel may be set in a heritage building, but its rooms are contemporary, the cocktail bar is sleek and modern, and there’s a complimentary buffet breakfast served up to guests each morning in the dining room. Ibis Styles Palermo President – This branch of Ibis features modern, bright and colorful rooms with a minimalist, boutique style to them. There’s a focus on design, which makes this hotel a cool option – especially with its futuristic feeling lobby area. 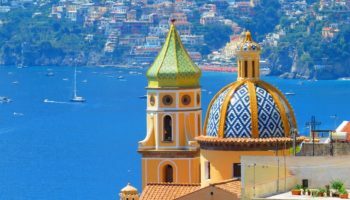 Also on offer at this hotel is a terrace and a rooftop restaurant Parking is complimentary at this 4-star offering, meaning it’s a good option for those who are embarking on a Sicily road trip – or planning on renting a car to see further afield. Hotel Bel 3 – The rooms at Hotel Bel 3 are laid back, but still bright and stylish with a neutral color palette. They feature modern bathrooms and balconies complete with panoramic sea views. Elsewhere, there’s a complimentary breakfast buffet, as well as an onsite pizzeria with its own bar. Set slightly away from the hustle and bustle of town means having some peace and quiet when you return; it’s a 20-minute drive from this hotel to central Palermo. Practically in the shadow of the towering Mount Etna, Catania – set on the island’s west coast – is the second largest city in Sicily. But it certainly doesn’t come second in the number of historical sites on offer. In fact, Catania’s old town is Italy’s largest example of Baroque architecture. 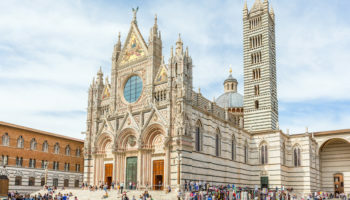 The central square of Piazza del Duomo is home to the city’s marvel of a cathedral, built by the first Norman king of Sicily in the 11th Century on the site of Roman baths. The square also hosts the fish market – La Pescheria – which is a bustling spectacle of life and food. Being so close to Etna, it’s possible to hike up trails that lead up the volcano’s slopes, making Catania a great destination for keen fans of the outdoors. Accommodation is more spread out and more affordable than in Palermo, giving you more options to choose where you want to stay in the city. Palace Catania – Housed in a beautiful heritage building, Palace Catania certainly lives up to its name when it comes to laid back luxury. The rooms mix the past with the present, retaining period features like gorgeous floor to ceiling windows while adding things like sleek furniture and minimalistic whitewashed walls. One of the best things about this hotel is its cocktail bar, which boasts views of Mount Etna itself. San Max Hotel – San Max Hotel isn’t fancy, but time spent here means staying in a traditional 19th-century building in the care of some accommodating and friendly staff. The rooms are good – spacious, warmly decorated, and with large windows that open onto the gardens. There’s an onsite cafe for your coffee and pastry fix in the afternoons, and there’s also a complimentary buffet breakfast to tuck into every morning. It’s set right in the historic center of Catania. 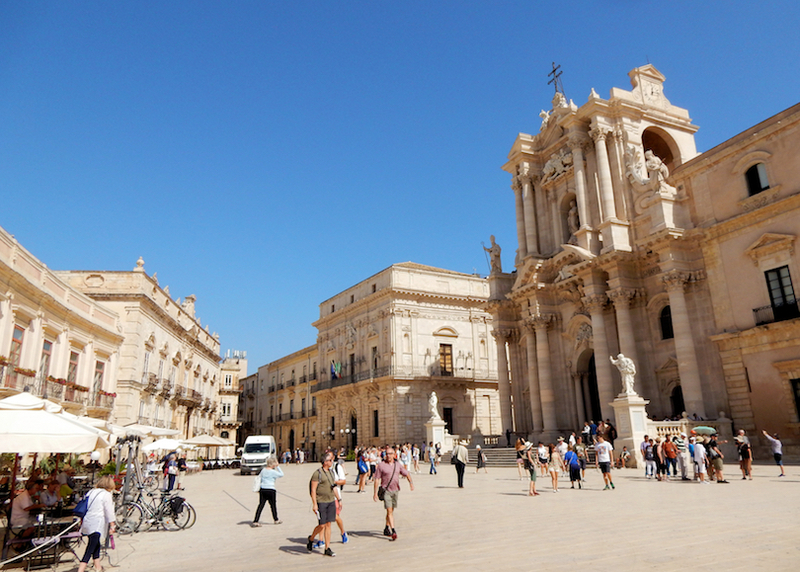 Founded as an ancient Greek colony 2,700 years ago, Syracuse was once a powerful city-state in its own right and is one of the best places to visit in Sicily if ancient history is what you’re interested in. The ruins of a temple dedicated to Apollo can be found on the small island of Ortygia – the city’s historic heart and where it was originally founded – the temple became a church under Byzantine rule and a mosque under the Moors. The ancient Greek theater features one of the largest cavea (tiered seating) ever constructed and is a spectacle to see. 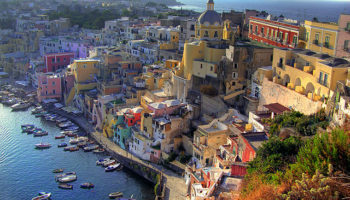 Just further south from Catania, there are a number of budget hotels in Syracuse, even on the heritage-filled island of Ortygia, meaning a stay in this Sicilian city can be very affordable. Caportigia Boutique Hotel – Ultra modern fittings and fixtures combined with the bonus of period features – thanks to being situated in a historic, renovated building – make this hotel a great slice of luxury. The rooms are sleek and refined with a minimalist feel, sometimes boasting original exposed stone walls or wooden beams. For even more luxury, there’s an onsite restaurant for high-end dining experiences. Location-wise, it’s just 200 meters to Porto Piccolo, but Syracuse Cathedral is also within easy walking distance. Grande Albergo Alfeo – The varied, warmly decorated rooms at this 4-star hotel feature big beds, balconies and floor to ceiling windows allowing plenty of light to flood in; some even boast fireplaces! Grande Albergo Alfeo also has the benefit of its historical credentials, housed in an elegant historic building. There’s a complimentary buffet breakfast on offer at this hotel, but guests can also eat at the onsite restaurant and head to the bar for evening drinks. Porto Piccolo, as well as many restaurants, is just on the doorstep. Alla Giudecca – Rustic is definitely the word that describes Alla Giudecca. This hotel is all about its charm, set within buildings that boast stone walls, wooden beams, and other traditional touches and features that exemplify its history. The courtyard is particularly charming; it’s the perfect place to sit and relax. While historic sights like Tempio di Apollo and the whole of the Ortigia (the historic center of Syracuse) are within walking distance, this hotel is actually home to the oldest mikveh (Jewish baths) in Europe! 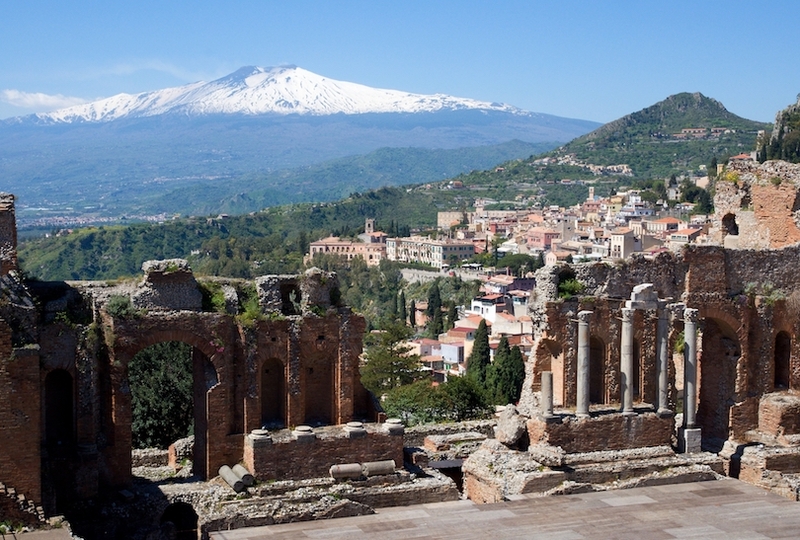 Set to the north of Catania, the hilltop town of Taormina is another Sicilian settlement located near Mount Etna. Hiking opportunities in the surrounding hills abound as a result, making it great for anybody who likes getting out into nature. The town is also known for Isola Bella, a tiny island just off the coast; it’s an iconic sight of Taormina and a nature reserve in its own right. Beaches dot the bottom of the rocky cliffs at Taormina but it’s easy to get to them thanks to a cable car system that opened up in 1992. Tours of grottos that carve out holes in the bottom of the cliffs are available, too. This all adds up to a great location for nature lovers. There are only a few hotels in picturesque Taormina; most are upscale and offer spas and swimming pools. Eurostars Monte Tauro – With its cool, circular balconies, bright and simply stylish rooms, pool surrounded by sun loungers (plus an indoor pool), and its hillside setting, Eurostars Monte Tauro is a great place to stay if you’re into sea views – they’re perfect at this 4-star hotel. 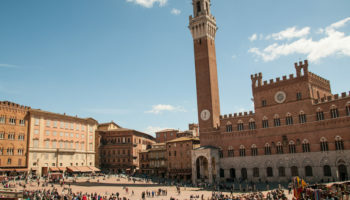 Boasting a complimentary breakfast, as well as an outdoor bar and a laid back restaurant for evening meals, this hotel has an excellent location; it’s just a 10-minute walk to the historic Palazzo Corvaia. Hotel Villa Fiorita – Set in a beautiful historic villa, Hotel Villa Fiorita has terrific views of the dramatic coastal scenery of the area. This hotel boasts picturesque olive groves, a sun deck for soaking up the rays, and even an outdoor pool for a refreshing dip when the heat gets too much. The rooms are sleek and super stylish – they’re all about clean lines, color pops and ultra-contemporary bathrooms. 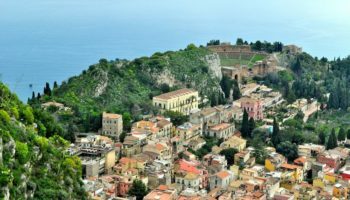 Historic sights abound in the area, like the Roman Naumachie, Greek Amphitheater, and Taormina Cathedral – all within easy walking distance. On the western tip of Sicily, set on a sweeping crescent-shaped stretch of coastline, is the town of Trapani. Known for its Baroque center on a small peninsula, the city is teeming with history. For instance, the Mura di Tramontana – a boulevard that’s pleasant to walk along – leads to the historic Torre Ligny, formerly a defensive structure. It’s also easy to get a cable car up to the small hill town of Erice, a great example of a medieval Sicilian settlement complete with fantastic views. The accommodation on offer in Trapani consists mainly of affordable budget hotels and B&Bs – of which there are many – making it great for those who aren’t prepared to splash out on their lodgings. Trapani is also a gateway to the nearby Egadi Islands, a collection of three main islands easily reached by hydrofoil, known for their fishing and picturesque beaches. Hotel Vittoria – Featuring a range of rooms – some warmly decorated with patterned fabrics, others boasting more of a sleek, minimalist feel – Hotel Vittoria is well located for exploring what Trapani has to offer. The beach is a mere 50 meters away from this 4-star hotel, while the historic town center can be strolled to in just 10 minutes. Back at the hotel, guests can order room service. There’s a continental breakfast on offer each morning, and also an onsite bar. Hotel San Michele – Hotel San Michele is set in a renovated heritage building; some parts of this old edifice actually date back to the 1400s. Many of the period features remain, like old stone staircases and wooden beams – now combined with boutique touches like geometric tiles, whitewashed walls, and stylish color pops. In terms of location, Piazza Mercato del Pesce is practically on the doorstep; so is the harbor, while Trapani train station is just under 10-minutes walk from here. Cefalu, situated on the northern coast of Sicily, is just about as picturesque as this island’s cities get. It’s a collection of buildings all gathered beneath La Rocca – or simply, ‘The Rock’. During the city’s Moorish rule, there was a fortress here, but when the Normans arrived it was transformed according to their style. The ruins of this still stand atop the imposing rock that looks over the city. Other Norman heritage in the city of Cefalu can be found in its Sicilian Romanesque-style cathedral, which is certainly a sight to behold. Elsewhere, beaches lie to the west of The Rock. The main concentration of hotels in Cefalu lies at the foot of La Rocca and consist of mid-range to high-end lodgings. Slightly out of town, the prices stay similarly high. Getting in and out of Cefalu is easy thanks to Sicily’s train network. Hotel Kalura – At this 4-star hotel, you can choose between standard rooms, studio apartments with kitchenettes, or your very own unit in the adjacent annex, which boasts direct access to the beach. But don’t worry; Hotel Kalura has its private beach anyway. Parking and breakfast are free of charge. There’s a cool lounge with billiard tables, an outdoor pool, and a bar. But what beats everything here are the views; set on a rocky promontory, these are pretty spectacular. Hotel Mediterraneo – For a simple, laid back stay, Hotel Mediterraneo is a good option. The rooms are unfussy and classically decorated, with warm furnishings and tiled floors. There’s a breakfast served up each morning, which includes delicious homemade cakes. This 3-star option is well located for exploring the local area, with the beach just over five minutes away on foot. Cefalu Cathedral is a 13-minute stroll from here; even the train station is only 200 meters from this hotel. Agrigento is a relatively small hilltop city on the southwest coast of Italy, but it is arguably the most famous settlement on the island of Sicily. This is mainly due to the fact that it’s home to the best-known tourist attraction in Sicily – the Valle dei Templi, or Valley of Temples. It’s here where visitors will find seven extremely well-preserved ancient Greek temples to marvel at and explore – a definite highlight of any trip to Sicily. A train station lies in the center of town, making it easy to arrive and depart. In terms of hotels, the lack of a beach or proper coastal area means that there are plenty of budget offerings, mainly in the form of homely B&B and guesthouse style hotels. Hotel Villa Athena – As you might be able to tell from the name of this 5-star hotel, you will find Ancient Greek temples virtually on the doorstep. In fact, Hotel Villa Athena is set within the grounds of the Valley of the Temples, making it perfect for seeing all the history on offer. Set in an 18th-century villa, the hotel boasts temple views, complimentary breakfast, an outdoor pool, and rooms decked out with lavish and chic boutique style – complete with marble bathrooms. Colleverde Park Hotel – Colleverde Park Hotel boasts classically decorated rooms, an on-site restaurant serving traditional Sicilian cuisine, charming gardens, and a whole lot more – including parking, which is suitable for those renting cars. But this 4-star hotel is all about its very convenient location. While it is located around a 20-minute walk from the town center, this hotel practically overlooks the incredibly historic Valley of the Temples. This means that the chance to wander amongst all the ancient temples is just a 15-minute stroll away. Set in southeastern Sicily, the city of Noto gives its name to the Val di Noto, a geographical and historic region around the Iblean Mountains in southeast Sicily. This setting provides ample chances to hike around the hills; specifically, you can head up to Cavagrande del Cassibile, a nature reserve following the River Cassibile and a great place for canyon hiking. To the south is Vendicari Nature Reserve, an awesome spot for hiking, discovering idyllic beaches and birdwatching – there are even flamingos here! Towards the coast, at Lido di Noto there are a number of mid-range hotels and B&Bs on offer for those who like to be near a beach, but in Noto, there are quite a few mid-range guesthouses, better for a more central location. Grand Hotel Sofia – This boutique style hotel is all about its eclectic interiors, with rooms that mix luxury fabrics and features with sleek design details and whitewashed simplicity. There’s a hot tub and pool to enjoy, as well as an onsite Sicilian restaurant and two bars to choose from. You’ll get a free breakfast served each morning. With both the Royal Gate and Noto Cathedral within walking distance of this place, it’s well positioned to explore the local area. Villa Felicia – Unassuming and relaxed, Villa Felicia is just about as charming and rustic as you can imagine. Set amidst lemon groves in a traditional building, it features rooms that combine classic features and furniture with a stylish eye for design; think wood paneling, stone walls, and tiled floors. There’s a tasty breakfast buffet served each morning, an outdoor pool, and a beautiful sun-dappled courtyard to relax in. Plus, it’s just a five-minute walk from here to the coast. Ragusa is set on a hill in southeast Sicily, in the same historic region in the Iblean Mountains as Noto (Val di Noto). 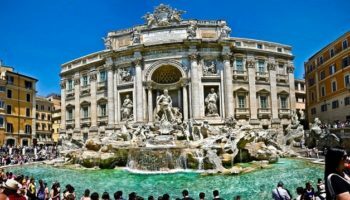 This city is famous for its numerous examples of Baroque architecture, specifically in the ‘old town’ or Ragusa Ibla – there’s the stunning 18th Century Cathedral of St Giorgio and the 17th Century Church of the Purgatory, amongst many, many other buildings that will easily wow visitors to this historically rich city. Giardino Ibleo is a charming spot to wander around – a 19th Century public garden with tree-lined pathways and beautiful fountains, complete with stunning views of the surrounding countryside. Hotels in Ragusa range from budget to just about mid-range, making it a very affordable city to visit – you can choose to situate yourself in Ragusa Superiore (the more modern part of town) or in amongst the Baroque beauty of Ragusa Ibla – the choice is yours! San Giorgio Palace – Occupying a grand old building dating back to the 18th century, San Giorgio Palace boasts spacious rooms with extremely chic and modern interiors. But there’s one very cool thing about this 4-star hotel; that’s the 33-meter long tunnel used to enter it, making it feel like a hidden lair. The hotel also offers a pastry breakfast each morning – free of charge. And in terms of location, it’s right next door to beautifully Baroque Duomo of San Giorgio. 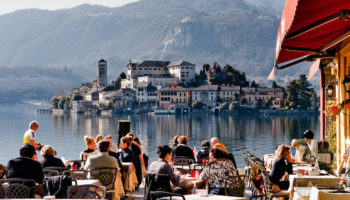 Hotel Vittorio Veneto – Cozy and laid back, Hotel Vittorio Veneto is set in a beautiful late 18th-century palace, making it an excellent option for those looking to stay in their very own slice of history. That said, there’s plenty more of that just a stone’s throw from this hotel: Cattedrale San Giovanni Battista Ragusa is a three-minute walk away, while many other historic sights practically jostle for space in the surrounding area. Back at the hotel, guests can start their day the right way with a complimentary breakfast buffet each morning.